Australian lungfish are found in Australia. Australian lungfish can be found in rivers in Queensland. 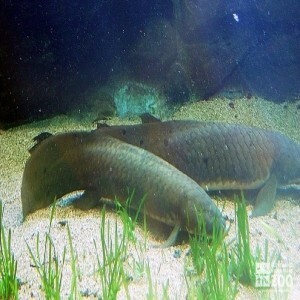 Lungfish are carnivores, and when fully grown will eat frogs and small fish. The Australian lungfish does not estivate in a mud tube or chamber like other lungfishes. Reproduction has been observed in shallow water in August. Although native to two small river systems, stocks have been transplanted into other Australian rivers. At least three of these introductions have been successful, and fish have bred.